IDEA - ALM : Rumkowski, head of the Judenrat in the Lodz ghetto, speaking at an assembly. 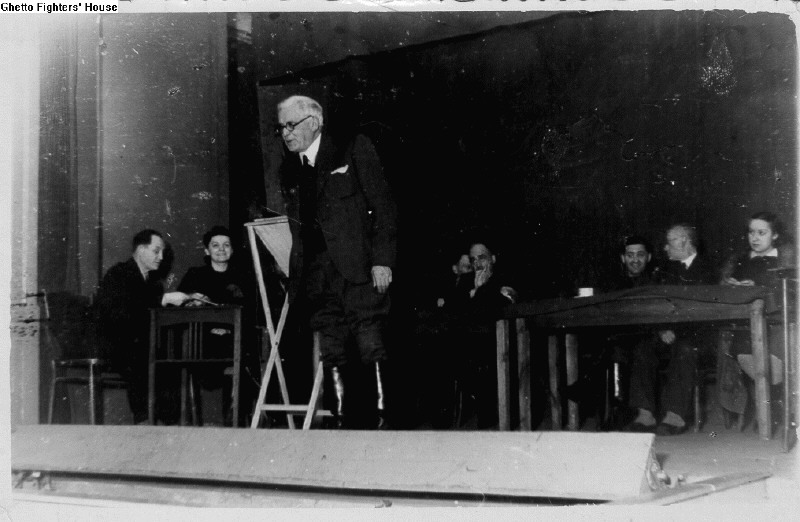 Rumkowski, head of the Judenrat in the Lodz ghetto, speaking at an assembly. On the dais behind him are several people, one of whom can be seen wearing a Jewish badge. רומקובסקי, ראש היודנראט בגטו לודז', נואם באסיפה.